GUELPH, ON (April 20, 2011) – There is one week left to prove that your field is up to the challenge. The deadline to register for Grain Farmers of Ontario’s first ever Winter Wheat Challenge is Monday, May 2, 2011. Sign up today and enter for your chance to win a grand prize of $1,500 and bragging rights in the countryside. Second place will take home $750 and third place rakes in $500. 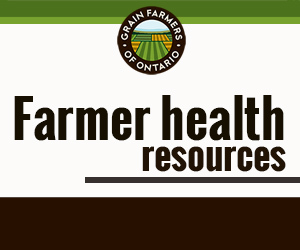 The challenge is open to all Ontario farmers and all legal production practices are permitted. The field must be at least 10 acres and within that, a 1.5 acre plot must be weighed and graded for the challenge. Any certified milling quality winter wheat may be used. For the full rules and a downloadable registration card, visit www.gfo.ca/winterwheatchallenge or, talk with representatives from our sponsoring companies Bayer CropScience, C&M Seeds and Hyland Seeds to get your registration card. All registration cards postmarked by May 2, 2010 will be eligible for the competition. 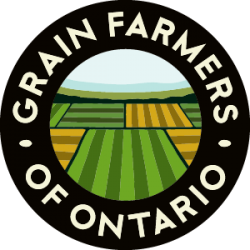 Grain Farmers of Ontario is the province’s largest commodity organization, representing Ontario’s 28,000 corn, soybean and wheat farmers. The crops they grow cover 6 million acres of farm land across the province, generate over $2.5 billion in farm gate receipts, result in over $9 billion in economic output and are responsible for over 40,000 jobs in the province.